Help your northern Colorado or southern Wyoming business stand out with local direct mail and digital marketing from Valpak. You decide the type of offer you want to present, how often you want it sent and the format it comes in. Choose from single and multipanel coupons, direct mail flyers and circulars tailored to your business. Valpak of N. Colorado and S. Wyoming can also get your small business on the digital stage using customized Valpak digital solutions: business websites or a business listing linked to valpak.com, search engine optimization (SEO), online paid advertising and social media marketing. Track your ROI using Valpak’s superior consumer behavior tracking tools. Our performance dashboard and call tracking solutions enable you to easily see how your campaign is being received and responded to. Each offers regular reporting and accurate proof of performance. Contact us to reach thousands of qualified households in cities like Wellington, Loveland, Greeley, Evans, La Salle, Milliken, Windsor, Severance, Timnath, Longmont, Firestone and Frederick. Let us know what areas you want to target for your advertising today. For specific dates and coverage, contact your Valpak of N. Colorado & S. Wyoming representative. 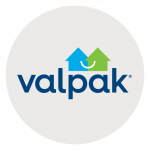 Valpak of N. Colorado & S. Wyoming is an independently owned Valpak franchise.